These protein-packed Breakfast Egg Cups make meal prepping and eating on-the-go exciting with 3 different flavors – chipotle sweet potato, verde and fajita! Today’s egg muffins recipe is sponsored by my friends at Pete and Gerry’s Organic Eggs. 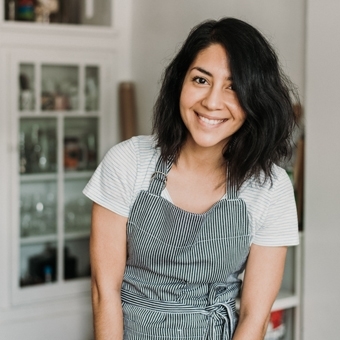 Thank you so much for supporting the brands I love and for making Isabel Eats possible! Eating a satisfying and healthy breakfast just got easier thanks to these baked egg cups! 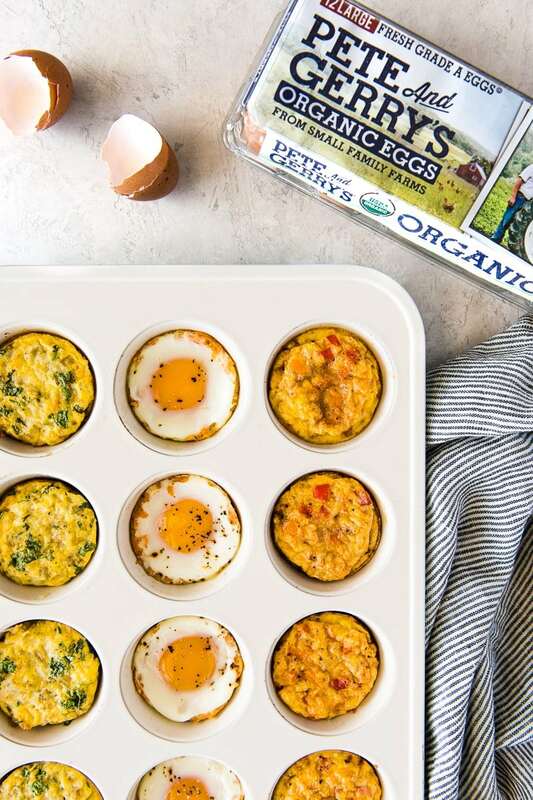 I’ve teamed up with my friends over at Pete and Gerry’s Organic Eggs to make these protein-packed egg cups that are great for meal prepping, eating on-the-go and even freezing for later. Whether your mornings are busy getting the kids ready for school or calm and relaxed before heading to work, these egg cups will help your mornings go smoother and ensure you don’t skip the most important meal of the day! Whether eating them in egg cups or simply scrambled, eggs are something my husband and I (like so many people) eat every single day! Which is why I make sure to buy high quality eggs that are certified humane. Not only is the overall flavor better (and don’t get me started on the beautiful color of the yolk! ), but it’s important to know that the chickens laying the eggs are happy and healthy. That’s where Pete and Gerry’s comes in. I love them so much because all their eggs are free range, certified humane and grown by more than 125 independent, small family farms across the country! The farms all follow strict standards of animal treatment, safety and environmental sustainability, which is amazing and gives me peace of mind that I’m doing the best I can for my family, the farmers and the planet. Egg cups are super easy to make and take only 15-20 minutes to make in the oven. 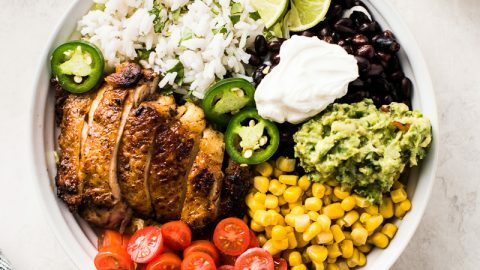 They’re perfect for making big batches, but like many meal prep recipes it’s easy to get bored if you feel like you’re eating the same thing. 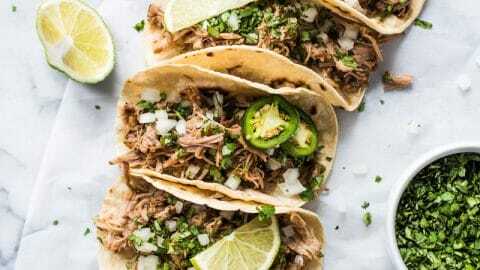 To help with this, I made 3 different Mexican-inspired varieties to keep you coming back for more day after day. 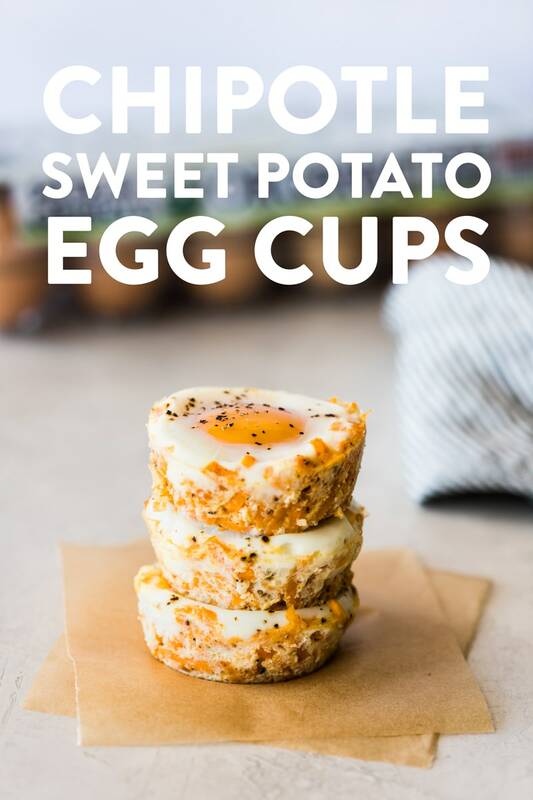 The Chipotle Sweet Potato Egg Cups are made with shredded sweet potatoes that are formed to the bottom of the muffin tin so it acts as a little basket of sorts. In additional to a base seasoning of garlic powder, onion powder, salt and black pepper that I used in every variety, I’ve also added a little chipotle powder to give it that extra smoky flavor we all love. 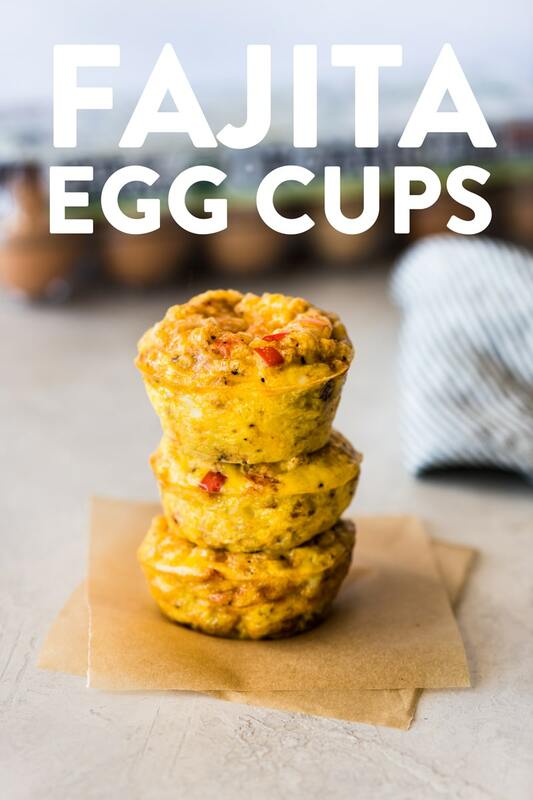 A whole egg is cracked into each muffin cup and baked until the egg white is fully cooked through. If you’re not a fan of whole baked eggs like my husband, you could also whisk the eggs and then pour them into each cup if you prefer. 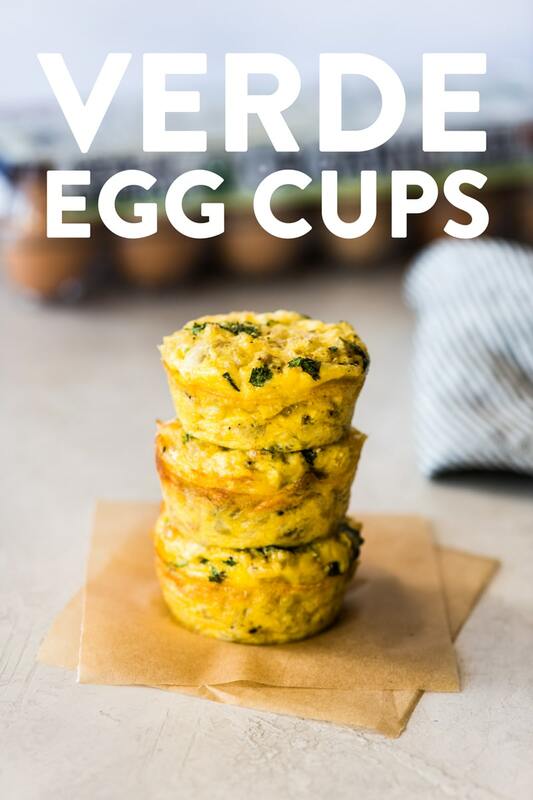 If you love green chiles, you’re going to love the Verde Egg Cups. They’ve got that great mild green chile flavor alongside some mozzarella cheese for good measure. Think Mexican chile rellenos but in an egg muffin! 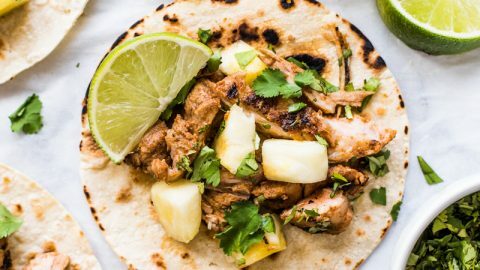 Do you always order fajitas at a Mexican restaurant? Then the Fajita Egg Cups are for you! These babies are filled with bell pepper, shredded mozzarella and seasonings like ground cumin and paprika. Like the verde version, each cup is filled with whisked eggs and baked for 18-20 minutes. The beauty of making breakfast muffin cups is that they reheat beautifully and can be stored in the fridge or the freezer! To store in the fridge for up to 5 days, place the muffins in an airtight container until ready to eat. When you’re ready to heat them up, heat them in the microwave in 15-second increments on high until they’re completely warmed through. 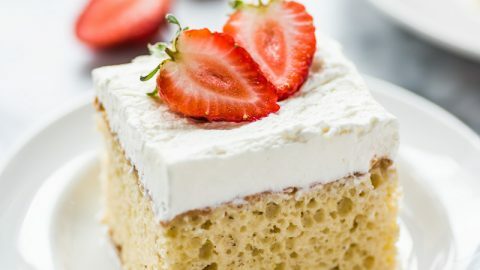 If you’re making a huge batch and you don’t think you’ll finish all of them in 5 days, you can also freeze them! Wait for them to completely cool. Once cooled, individually wrap each egg cup with plastic wrap. Then place all the cups in a freezer-safe zip top storage bag and freeze. Reheat in the microwave on high in 15-second increments until fully warmed through. Preheat oven to 350°F. Generously spray 12 cups of a regular muffin tin with cooking spray. Peel the sweet potato. Using a box grater, grate the peeled sweet potato so it resembles shredded cheese. You should get about 2 1/2 - 3 cups of shredded sweet potato. 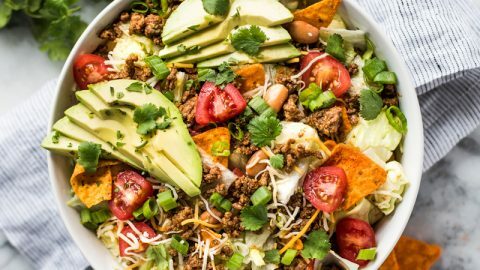 In a medium bowl, add the shredded sweet potato, Parmesan cheese, black pepper, salt, chipotle powder, garlic powder and onion powder. 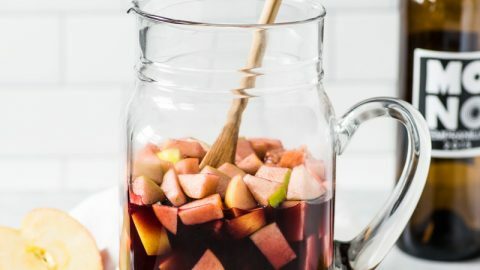 Mix together with a fork until fully combined. Scoop about 1/4 cup of the sweet potato mixture into the bottom of each muffin cup, and press down on the bottom and sides to form a crust. Carefully break an egg into each muffin cup. Sprinkle the tops with a small pinch of black pepper. Bake for 15-18 minutes, until the whites of the eggs are cooked through and the yolks are cooked to your liking. Let cool for 10 minutes, then use a toothpick and a spoon to loosen the sides and lift them out. In a large bowl or measuring cup, whisk together the eggs. 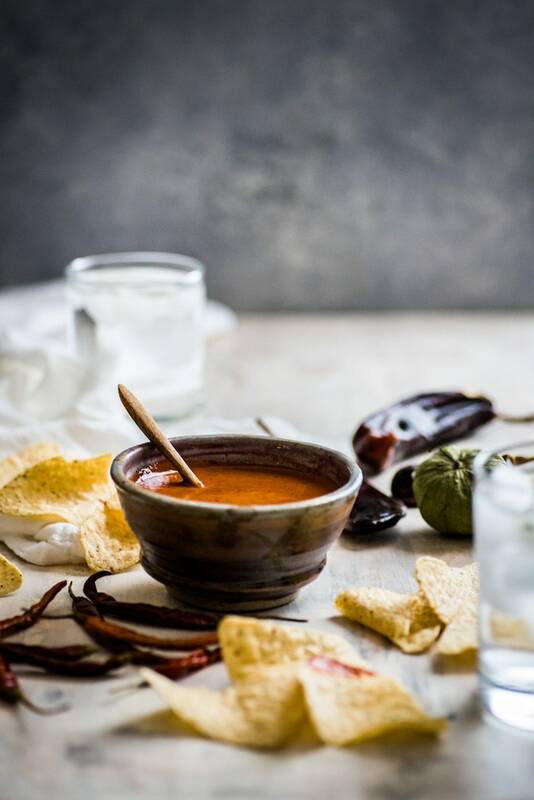 Pour the diced green chiles into a large mesh strainer and press down with the back of a spoon to remove as much of the moisture as possible. 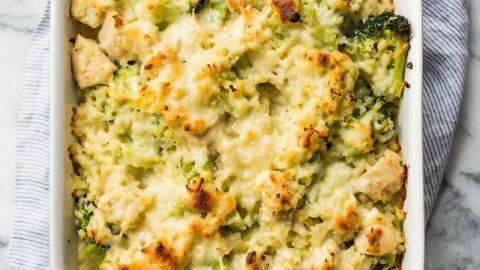 In a medium bowl, add the drained diced green chiles, shredded mozzarella cheese, black pepper, onion powder, garlic powder and salt. Mix together with a fork until fully combined. Evenly distribute and scoop the green chile mixture into each muffin cup. Fill each cup about 3/4 full with whisked eggs. Sprinkle the tops with a small pinch of chopped cilantro. Bake for 18-20 minutes, until the the eggs are cooked through. Let cool for 10 minutes, then use a toothpick and a spoon to loosen the sides and lift them out. Cut and dice the bell peppers, making sure to discard the tops.. 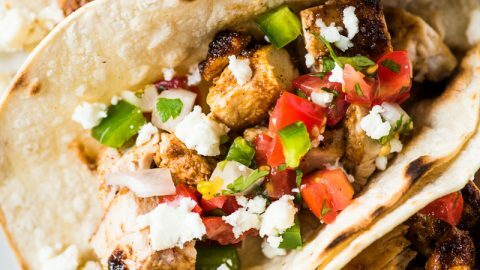 In a medium bowl, add the dice bell peppers, shredded mozzarella cheese, salt, black pepper, paprika, onion powder, garlic powder and ground cumin. Mix together with a fork until fully combined. Evenly distribute and scoop the bell pepper mixture into each muffin cup. Fill each cup about 3/4 full with whisked eggs. To store: Place muffins in an airtight container in the fridge for up to 5 days until ready to eat. When you’re ready to heat them up, heat them in the microwave in 15-second increments on high until they’re completely warmed through. To freeze: Let muffins completely cool. Once cooled, individually wrap each egg cup with plastic wrap. Then place all the cups in a freezer-safe zip top storage bag and freeze.